Swimline Baseball Glove Float Inflatable Raft Just $13.72! Down From $26! You are here: Home / Great Deals / Amazon Deals / Swimline Baseball Glove Float Inflatable Raft Just $13.72! Down From $26! 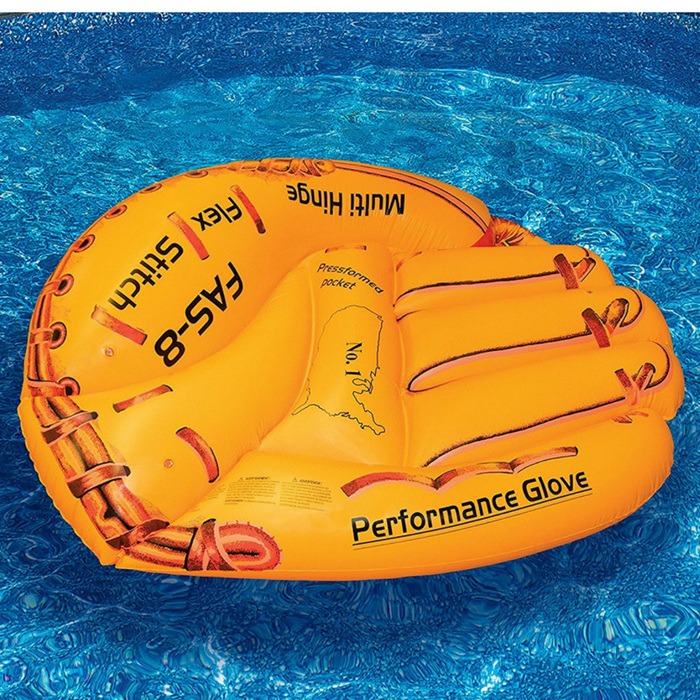 Hurry over to Amazon to score the Swimline Baseball Glove Float Inflatable Raft for just $13.72 down from $25.99 PLUS FREE shipping with Amazon Prime or for orders over $25! The Swimline Inflatable Baseball Glove Float is a real catch at the pool, lake, or beach this summer. For the ultimate baseball lover, this 62-inch float hits it out of the park and is great for sunning and relaxing. It features a realistic baseball glove design with leather stitch graphics and lettering and is constructed of heavy-duty vinyl. The float has room for 1 adult or 2 younger kiddos to get caught in and lasts season after season. Steal the hearts of your baseball-loving fan and strike up some fun this summer with the Swimline Inflatable Baseball Glove Float!